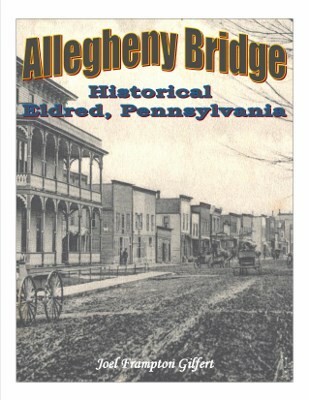 This book details the early history of the Borough of Eldred and Eldred Township vicinity from 1800's to 1900's. County reacts to Pearl Harbor and civilian defense kicks into action. The county retools for war and five companies are awarded the Army-Navy E Award. History of munitions production with many photos. killed in action or missing. The county celebrates the welcome home on July 4, 1946. A longtime local history buff has put out a new perspective on how McKean County was during World War II. Eldred resident Joel Gilfert penned "McKean County, Pennsylvania, During Wartime: 1941-1945," his third book related to local history. 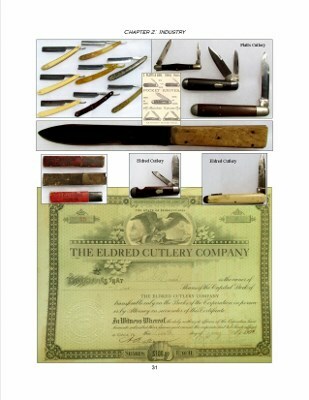 "It was quite an arduous task," said Gilfert, who has made collecting military history a hobby over the last 20 years. Now he wants to share his findings with the public as the living World War II generation begins to dwindle in numbers. "These men and women are still alive and their stories need to be told." But also important to Gilfert is speaking for those who have died and never had a chance to tell their story. Often, he explained, veterans' children and grandchildren never even know what their family member did overseas. Part of this is due to veterans keeping their experiences inside. "He would never talk about anything with me," Gilfert said of an elderly neighbor he had who served World War II. Much of Gilfert's research, instead, came through reading literally every local newspaper put out during the wartime era. He often drew from "The Yankee Doodler," a one-page special section found each Thursday in The Era from 1942 to 1945. The page largely focused on the lives of locals who went to war: who enlisted, who was injured and other newsworthy items. Gilfert used several other sources of information for the book. 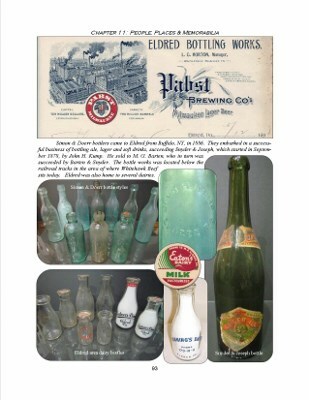 Local companies, including Dresser and Kendall, supplied information on their wartime production. High school yearbooks became a prime place to dig up photos of those who enlisted in the war. Gilfert also was blessed with several donated photos that he otherwise would not have had access to. But it was thanks to his own, personal newspaper scouring that Gilfert found one of the book's more surprising revelations: that Adolph Hitler's nephew once made a speaking appearance in Bradford. "(The article) was tucked away in a newspaper," he said. "I couldn't believe nobody had even realized this (happened)." The book starts with Hitler's nephew speaking before the war and ends with the stateside return of locally born soldiers. A "Welcome Home" parade held in Bradford saw almost 25,000 viewers line the streets to watch an entourage that stretched about three miles back, according to Gilfert. But, while many McKean County residents returned successfully from military duty, some did not. But, while many McKean County residents returned successfully from military duty, some did not. "Nearly 300 men and women died from this area from World War II," Gilfert said. One little-known fact, he added, was that many people died in training or other military activities without even making it into battle overseas. 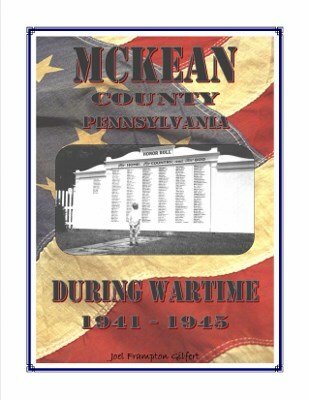 Copies of "McKean County, Pennsylvania, During Wartime: 1941-1945" are available on Gilfert's Web site. Its price simply covers his book-making expenses, which included printing and binding, among other costs. Gilfert has already sold half of his initial run of 20 prints by word of mouth. 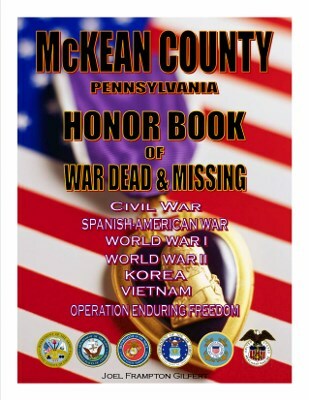 This book details nearly 500 soldiers, sailors and airmen that paid the ultimate sacrifice in the service of our great nation and county. Includes photographs, service branch, dates of death and where they're buried. The oil boom hits Otto Township and the small logging village grows into a borough overnight with people seeking fortunes of black gold in the Duke Centre hills. 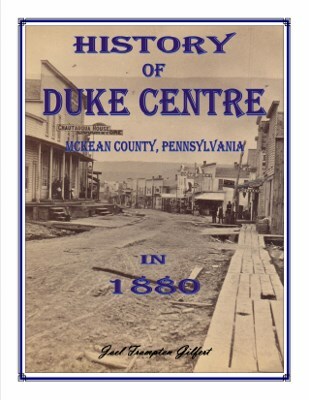 Contains numerous photographs of Duke Centre and surrounding area during the oil rush. Originally compiled in 1880 by H. L. Cartwright and printed by Wellington & Carr. SUNDAY MORNING NEWS office, Duke Centre, PA.